This article introduces some of the advanced, time-saving features available to admins. Open any transaction and click [Enable Checklist Scrolling]. You only need to do this once. Pipeline will remember your choice. This feature works best when checklist scrolling is enabled. When you click a document name and that name is contained within a task on the transaction, the task will be highlighted automatically. If you have enabled Checklist Scrolling, that task will also be repositioned so that you can see it easily. Using keyboard shortcuts will save you lots of time while working in Pipeline. Let’s learn about the keyboard shortcuts available in Pipeline. These shortcuts work on Mac and PC. Use the left and right arrow keys to page through it. Or type in a page number to jump directly to a page. When previewing a doc in either pop-out or inline modes, pressing Shift + Up-arrow or Shift + Down-arrow will show the previous or next doc preview, if available. Alt-R to mark as reviewed the doc whose preview is currently open. Alt-E to mark it as entered. Ctrl-Shift-Z to jump to the Admin area. Ctrl-Alt-T to add a transaction. Ctrl-Alt-D to upload a doc. Hit Ctrl-Shift-1 to jump to the Dashboard. Navigate to the transaction whose contact you want to email out. If you haven’t added the contact to the transaction yet, add it first. Go to the transaction and click [Note / Email] just above the list of documents. Complete your message and select any desired options or docs to send. Drag and drop the contact directly into the Message field. Pipeline will properly format the contact’s information into the message field. Drag more contacts if you need to. Once the message is ready to go, click [Send]. Be sure to drop contacts directly onto the Message field to capture their contact info. Dropping them onto the External Recipients field will add them as an external recipient of the message. 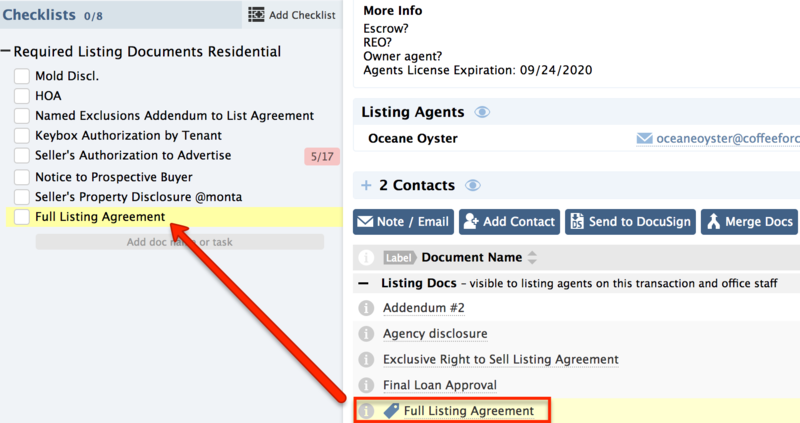 From the Unreviewed page, click the transaction name of the documents you’d like to review. The transaction will open in a new window. Drag the new window to your second monitor. This new positioning will now be remembered when you open more transactions from the Unreviewed page. This setup also works great for processing multiple transactions one after the other. Open your sorted/filtered transaction list on the first monitor, then open an individual transaction on to the second monitor by shift-clicking the transaction's name and dragging the new transaction window to the second monitor. From the Transaction page, Ctrl-Click or Right-click on a transaction name. Select “Open in new tab”. This will open that transaction in a separate browser tab leaving your main transaction list intact on the original tab.